The money raised from the CITB levy is used to support training of the workforce within the construction industry. By undertaking training, not only do employers enhance the skills-set of their employees, improve safety and efficiency, companies derive benefit from the levy by claiming this back in grant payments. To claim grant it is essential that your CITB Grant Levy returns are being returned on time and are up to date. Using an Approved Trainer makes the grant application seamless as it is all automatic, provided the course is grant funded, and you can also see how much it is for each course. Please note that funding is available for 3 short duration courses per employee per year. However that can be divided up however you wish – so for 10 employees you have 30 possible grant funded opportunities and 2 people, say, could take 15 each and 8 take none. This provides an extra incentive to smaller employers (<100 employees) to deliver construction training which aligns with CITB’s grant scheme. This funding also supports training interventions in management & leadership. It is worth noting that funding can be used for less obvious purposes, such as training to become an Assessor – of which there is a shortage in the industry. From 1 April 2018, you will need an online account to claim a grant. 1 Levy Online – to submit Levy Returns and view those from previous years. To make sure you get the latest from CITB you can choose whether you want to be contacted by email, phone or post, or by any combination of them. Please note this will not affect legally required Levy communications. 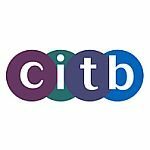 You can contact CITB on all its services https://www.citb.co.uk/contact-us/ as well as using the on-line chat service – which pops up on the site. this is available to employees, labour-only sub contractors (LOSC) and agency staff who achieve approved VQs at Level 2 and above. Currently the grant is £600. Plus an extra 10% if you pay the CITB levy and meet certain deadlines. See supplementary payment. You can claim a maximum of £5,000 a year. The total number of days you can claim for depends on the number of employees you declared on your Levy Return.